If you start with great ingredients, why would you want to mask the flavors and change it from what it is? Take a gorgeous, ripe heirloom tomato at its summer peak, add just a little bit of salt. You don’t need much else to “make it shine”. We often ask chefs how they create extraordinary dishes and the vast majority will say you first start with great ingredients, add to that imagination and creativity, and finish with culinary technique. Many chefs speak of the importance of family and food memories from their childhood in their playful reinventing of familiar dishes to create, say, the best fried chicken you ever ate. 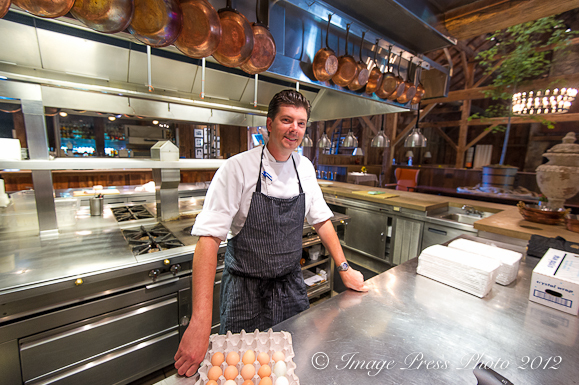 We recently met with Joseph Lenn, Executive Chef of The Barn at Blackberry Farm in Walland, Tennessee (the home of Foothills Cuisine) and asked what is behind his inventive cuisine. Besides great ingredients, his inspiration comes from two of the most important things in his life: his family (and in particular, preserving memories of his grandmother and grandfather), and his love of fishing. 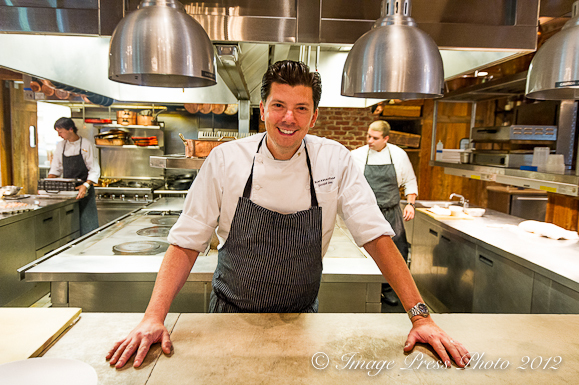 Joseph Lenn was a finalist in the 2012 James Beard Foundation Awards for Best Chef Southeast and was also in the running for Food & Wine’s The People’s Choice Best New Chef in the Southeast. He was honored in 2011 to receive the title of Grand Chef by Relais & Chateaux, as well as being included in Food & Wine as one of the top upcoming New Chefs. 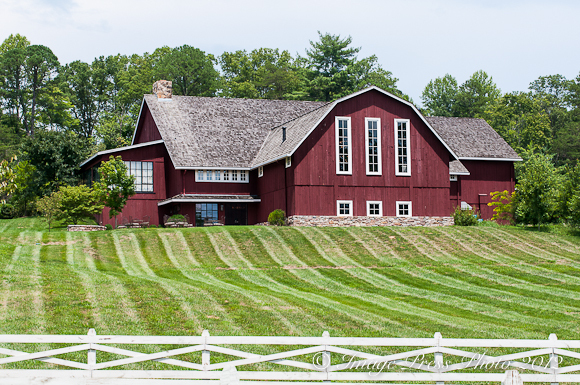 Chef Lenn travels extensively to food and wine festivals and special events around the country in addition to staying extremely busy at Blackberry Farm. 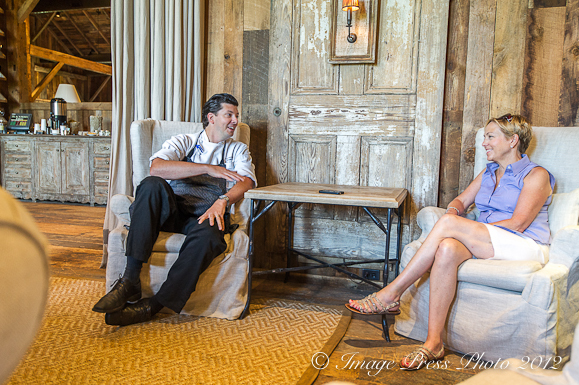 It was a real pleasure to be able to sit down and chat with this very personable, sentimental, and thoughtful chef at this stunning resort in the Smoky Mountains of Tennessee. There are smiles, expressive movements, and laughter as Joseph speaks about his grandparents. You can feel the love he has for his “granny and grandpa.” While his grandfather passed away six years ago, his grandmother is doing well at age 87 and Joseph spends as much time with her as possible. He is chronicling her stories, many about food, to preserve for the next generation. “Grandpa made the best breakfast ever. Granny was never an early riser and still isn’t today. She stays up all night listening to the radio and news and reading books, so Grandpa would make bacon and eggs in the morning. It is how I learned to make scrambled eggs. I wondered why my parent’s eggs weren’t that good and I realized at some point, no wonder Grandpa’s tasted so good, he cooked those eggs in bacon fat! It is a fine morning, when we have a good read to inspire our day. The chef will love this article. Informative, modern, yet, homey. Real. The photos are interestingly full. Totally absorbing. The best: when the skills of the interviewer are as accomplished as the skills of the interviewee … The results are a”delicious “, story. Many levels, here, to receive and digest. Thanks to Chef, Writer, and the Locale. Loved this story. Both interesting and mouthwatering. 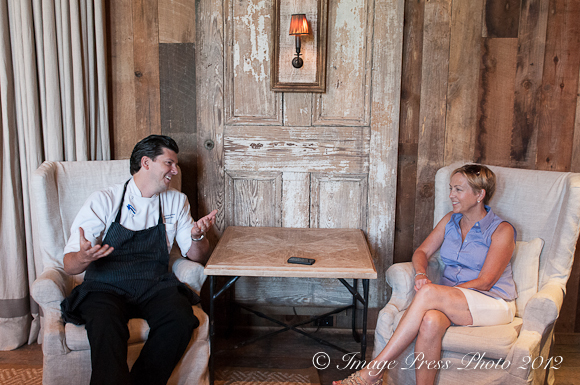 Loved my time spent with former Chef Fleer at Blackberry, and current time spent with Chef Lenn. They are both incredible talents in the kitchen, and I enjoyed reading about your observations and opinion. Loved the recipe shared. Another great post. Each chef has such a marvelous story and I love how you get to share them with us. I find it stunning that he succeeded in translating his grandma’s recipes into something healthier and more elegant. Thanks for sharing this wonderful recipe but do I dare try it in my own kitchen? Wow, that dish looks amazing and what a great interview with Chef Joseph!! The Barn looks beautiful!! I hope I get to visit it one day!! !